European Journal of Operational Research (EJOR), published by Elsevier. Created as an independent journal in 1976, EJOR became a EURO journal in 1990. Its coordinating Editor is Roman Slowinski. EURO Journal on Computational Optimization (EJCO), published by Springer. It was officially launched in 2011. Its Editor in Chief is Martine Labbé. EURO Journal on Decision Processes (EDDP), published by Springer. It was officially launched in 2011. Its Editor in Chief is Vincent Mousseau. 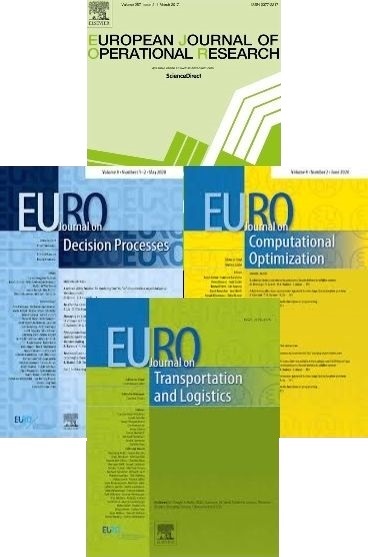 EURO Journal on Transportation and Logistics (EJTL), published by Springer. It was officially launched in 2011. Its Editor in Chief is Michel Bierlaire. 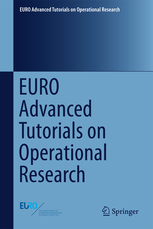 The EURO Advanced Tutorials on Operational Research, published by Springer, a series of short books devoted to an advanced topic. The Series Editors are M. Grazia Speranza and José Fernando Oliveira.